Found an injured or baby bird? Found an injured or baby mammal? young need to remain hidden, or at least quiet, to survive. Some animals watch their young from a distance so as to not draw attention to them. A bird who is feathered, has evidence of tail feathers, and is hopping around on the ground but not able to fly is a fledgling (young bird just leaving the nest.) It’s parent is likely nearby, and still feeding it. Unless it is injured or you KNOW it to be orphaned/abandoned, please keep animals and humans away and leave it alone. If the young bird is a crow, please place it as high in a nearby tree as you can with the adults watching. Adult crows will not come to the ground to care for it. 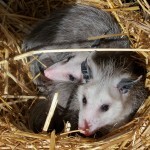 An opossum who is eight inches or longer, NOT INCLUDING THE TAIL- is independent. A squirrel who is nearly full sized, has a full and fluffy tail, and is able to run, jump, and climb is independent. Keep in mind that despite an animal’s small size, many young are independent enough to fend for themselves. Interference from humans unnecessarily reduces the chance of an animal’s survival. Do not attempt to rescue a healthy animal. If an animal has any of these signs, bring the animal to Silverado Vet Hospital immediately. 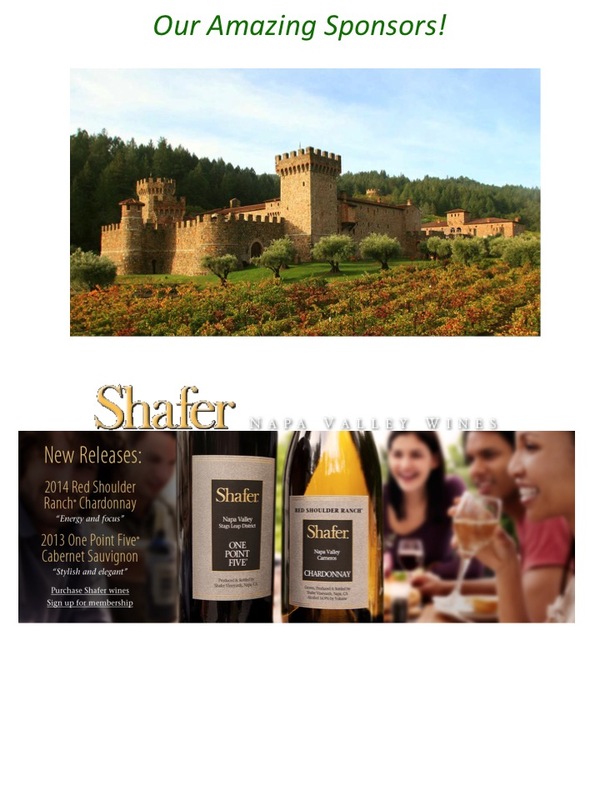 You can call our Dispatch Operator at 707-224-4295 for assistance. Do not handle the animal without consulting a wildlife professional. Even a small animal can hurt you. Contact our Dispatch Operator for assistance as needed. Keep the animal in a warm, dark, quiet place. You can use a box with holes punched in for breathing. Line the box with a non-pull material such as a baby blanket or dark colored T- shirts. If you don’t have those, a towel will work. Keep the animal warm. A heating pad on low works well. Make sure the animal can get to a cooler spot if desired by putting the heating pad under only half the box. Never give any animal food or water! Wild animals have very specific diet needs and could easily choke or develop serious digestive and growth problems. Although there is a lot of information on the internet about this, PLEASE do not feed or give any liquids to an animal. Most captured animals are in shock and eating or drinking can make this worse. Contact our hotline right away. Do not let anyone or anything such as pets, children or other people disturb the animal. Added stress from curious animals or people can easily cause death. Local, regional, and federal laws prohibit you from having a wild animal in your possession. 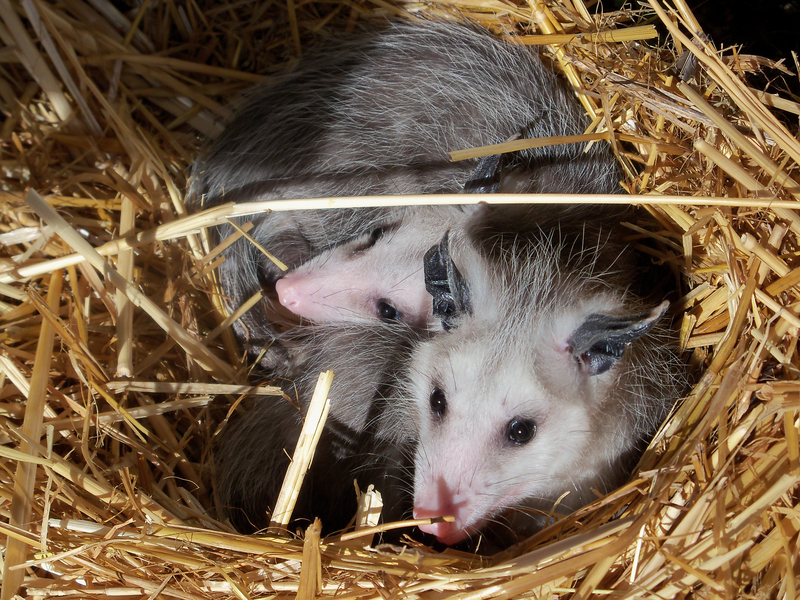 Wildlife rehabilitation and care centers are licensed to keep wildlife for rehabilitation. There are diseases that humans and pets can contract from wildlife. There are also diseases that domestic pets can transmit to wildlife. Rehabilitators are trained to recognize and take care of injuries, illnesses, parasites, and other conditions that may be present. They can administer necessary medications, manage wounds, and stabilize an animal that is in shock. Not all veterinarians have experience with wildlife. Rehabilitators consult with veterinarians as needed. Rehabilitators have the necessary caging, food, and equipment required for each species. Rehabilitators are trained to care for an animal while preserving its wildness. Wild animals suffer as a result of human impact. An animal who has lost its normal fear of humans and pets will not survive in the wild. Raising and releasing a tamed wild animal is signing its death sentence! If you find a feathered baby bird hopping around on the ground, or maneuvering in branches, It is probably not injured, even if it cannot fly well. 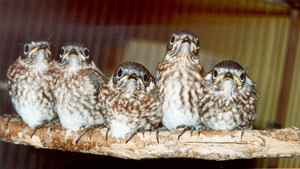 Birds that have just left the nest (fledglings) need time to develop their skills and their parents continue to watch over, teach, and feed them for up to several months, depending on the species. It is important to leave these young birds with their parents, and keep all people and pets away! These birds do not need your help. If a baby has wandered out to an exposed area for a long period of time and there is threat of predators (humans/pets) place the bird back into a hidden, bushy or covered area, well away from trails or human / pet interference in a location where you know the parents are nearby. Parents will not reject their baby just because it was briefly handled by humans. Please keep the bird warm and bring it in to Silverado Veterinary Hospital as soon as possible, EVEN IF THE BIRD IS UNINJURED. Any bird who has had contact with a cat or dog MUST receive antibiotics for bacteria present in dog/cat saliva. The bird will be released back to it’s home area after the course of antibiotics. The best thing to do is try to put the bird back. If you can’t return the baby to the nest, make an artificial nest out of a small margarine tub or small shallow box (poke drainage holes in the bottom). line container with natural materials such as pine needles and small twigs. Do not use grass as it contains moisture that will chill the babies. Watch from a distance to see if the parent returns. If the parents do not return after 1-2 hours, bring the bird in. If the nest has fallen, or been knocked down, the nest and babies can be put back in the tree. If you cannot replace the babies be cause it is too high, place the babies in their nest and place in a plastic container such a, a margarine tub. Wire the new nest as close to the original location as possible You may have to put it on a nearby branch or another tree or bush. Make sure it is out of direct sunlight or weather. leave the area and watch for parents to return Refer to Signs to determine whether an animal needs your help to determine if the bird needs rescuing.Follow the instructions on How to Rescue a baby bird. Prepare a container. Place a clean, soft cloth with no strings such as a baby blanket or dark coloredT·shirt on the bottom of a cardboard box or cat / dog carrier with a lid. If you don’t have a baby blanket or dark colored T-shirt, use a towel. If the container doesn’t have air holes, make some. For smaller birds, you can use a paper sack with air holes. Protect yourself. Wear gloves, if possible. Some birds may stab with their beaks, slice with their talons (claws) and slap with their wings, to protect themselves, even if sick; birds commonly have parasite, (fleas, lice, licks) and carry diseases. Cover the bird with a light sheet or towel. Gently pick up the bird and pul it in the prepared container. Warm the animal. Pul one end of the container on a heating pad set on low. If you do not have a healing pad, fill a zip-lop plastic bag, plastic soft drink container with a screw lid with hot water; wrap warm container with cloth, and put it next to the animal. Make sure the container doesn’t leak, or the animal will get wet and chilled. Also make sure the animal can gel away from the heat if desired. Note exactly where and when you found the bird. This will be very important for release . Keep the bird in a warm, dark, quiet place . Don’t give it food or water. Leave the bird alone; don’t handle or bother it. Keep children and pets away. Contact WRCNC or bring to Silverado Veterinary Hospital immediately. Don’t keep the bird at your home longer than necessary. Keep the bird in a container; don’t let it loose in your house or car. When transporting the bird, keep voice and noise levels low. Do not play the radio/music and refrain from talking. Wash your hands after contact with the bird. Wash anything the bird was in contact with – towel, jacket, blanket, pet carrier to prevent the spread of diseases and/or parasites to you or your pets. Do I need to help, and if so, how? 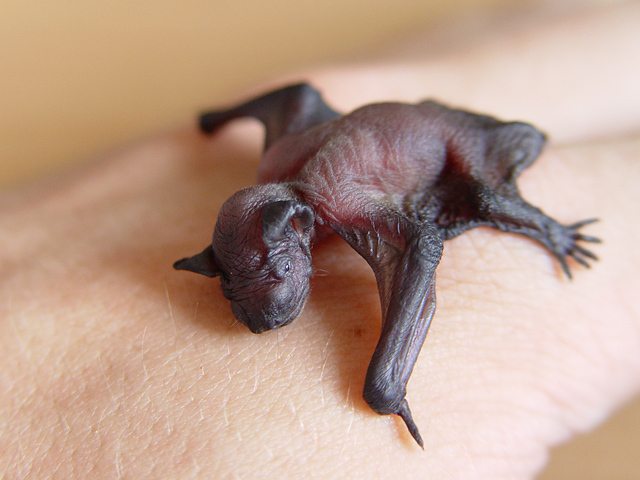 If you find a baby mammal on the ground, it may not be injured or orphaned. animals watch their young from a distance as to not draw attention to them. from trails or human & pet interference in a location where you know the parents are nearby. Parents will not reject their baby just because it was handled briefly by humans. Watch from a distance to see if the parent re turns. If the parents do not return after 1 ·4 hours, bring the squirrel in. If any squirrels appear lethargic and approachable, bring them in. in the dead mother with the babies still in the pouch. Do not attempt to remove the babies by yourself. it’s mother, bring it in. Also, bring in any opossum that is lethargic and approachable in the daytime. the entire night. Raccoons are nocturnal, feeding and eating at night. assistance . Do not attempt to capture or transport the fawn yourself. Please keep the bat warm and bring it in to Silverado Veterinary Hospital as soon as possible, EVEN IF THE BAT IS UNINJURED. Any bat who has had contact with a cat or dog MUST receive antibiotics for bacteria present in dog/cat saliva. 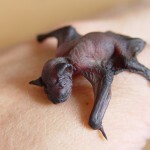 The bat will be released back to it’s home area after the course of antibiotics. rescuing. Follow the instructions on How to Rescue a Baby Mammal. a baby blanket or dark colored T-shirt, use a towel. If the container doesn’t have air holes, make some . For smaller mammals, you can use a pape r sack with air holes. commonly have parasites (fleas, lice, ticks) and carry diseases. or the animal will get wet and chilled. Also make sure the animal can gel away from the heat if desired. 6. Note exactly where and when you found the mammal. This will be very important for release. don’t handle or bother it. Keep children and pets away. your home longer than necessary. Keep the mammal in a container; don’t let it loose in your house or car. jacket, blanket, pet carrier 10 prevent the spread of diseases and for parasites to you or your pets.